The day has finally come, space nerds. 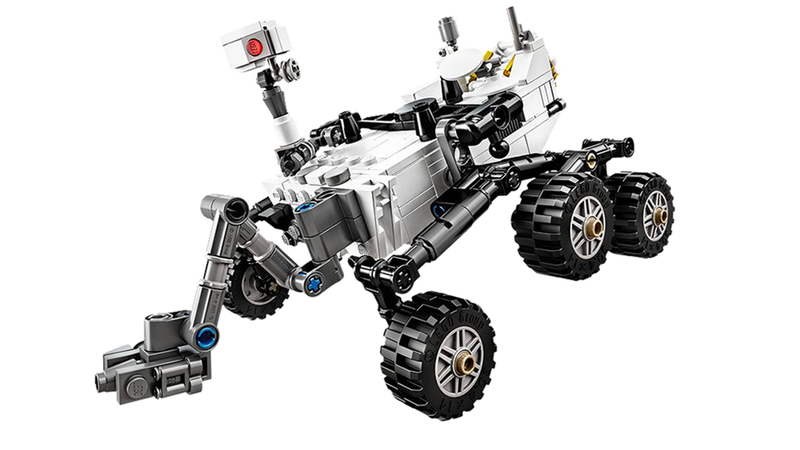 For just $30, you can have your very own Mars Curiosity Rover Lego kit. It comes with six-wheel suspension for rumbling over Martian soil, a model robotic arm for picking up Martian rocks, and pretty much as much awesome as you can fit in a box. The design itself comes from Lego's user-submitted ideas network, Cuusso, and was actually created by a NASA engineer. While the official kit hit the web on Thursday, it sold out almost immediately. At the time of this posting, the expected ship date was January 14. If that's too long for you, you can always gather up your spare Lego and download step-by-step instructions to build your own rover here.